It is well known that humans have dramatically impacted global ecosystems over the past two hundred years. Air pollution and ocean acidification are two major anthropogenically-forced effects that have direct impacts on Earth’s oceans and atmosphere. Yet, the pervasive ways in which the second and third degree consequences of our actions have cryptically altered landscapes and animal communities on a global scale is more challenging to decipher. Although conservationists often leverage these animals’ innate charismatic beauty and mystery to muster resources for their conservation, there are also utilitarian reasons to despair their absence. In an article titled “Trophic Dowgrading of Planet Earth“, renowned ecologist James Estes argues that “the loss of apex consumers is arguably humankind’s most pervasive influence of the natural world”. The loss of apex predators, he argues, can influence ecosystem “processes as diverse as the dynamics of disease; fire; carbon sequestration; invasive species; and biogeochemical exchanges among Earth’s soil, water, and atmosphere.” Indeed, these reverberating consequences deserve our attention. So, why doesn’t the loss of apex predators feel like such a big deal? Perhaps because its more abstract than witnessing other environmental perturbations that appear more dramatic to our own sensibilities: staring at a a dry, empty river bed or seeing schools of bloated, dead fish wash ashore. Perhaps another reason is that humans are susceptible to “ecological amnesia”–the experience of forgetting that ecosystems currently function very differently than only a few hundred years ago. Another term for addressing humanity’s perpetual acceptance of the ecological status quo is “shifting baselines”. On an ecological timescale it was not long ago that North America was a vast, wild continent where wolves, mountain lions, and bears roamed relatively unobstructed by human activity. Yet, when we think of America’s heartland today we picture an endless sea of agricultural land. Likewise, when we think of the Scottish countryside we probably think of hills and mountains covered in green grasses. However, this grass-dominated Scottish landscape is a human-created ecosystem. Scotland was once covered in forests that were cut down long ago. Overgrazing has since converted the landscape into a grassland that feels as resoundingly Scottish as bagpipes and haggis. This warm embrace of a drastically human-altered ecosystem is ecological amnesia in action. Moreover, few of us in North America wake up and think, “Oh yeah, my neighborhood is still missing wolves and mountain lions… I wonder how that is changing the behavior of racoons, the abundance of deer, or the ecology of disease?” Ecologists continue to uncover evidence to suggest that the absence of apex predators such as wolves and mountain lions do indeed have a cascade of effects on local ecosystems. In many cases the absence of apex predators can lead to ecological meltdowns. This process often happens via a phenomenon called “mesopredator release” where the absence of an apex predator “releases” a mid-level subordinate predator, a mesopredator, and allows them to reach unnaturally dense populations. 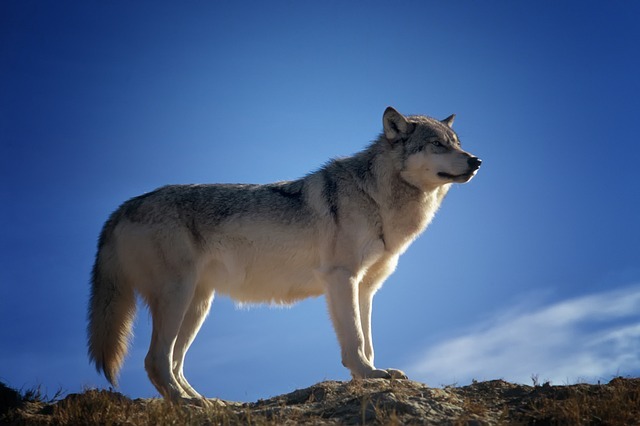 A good way to conceptualize the difference between an apex predator and a mesopredator is to think of the difference between a wolf and a coyote. The wolf is dominant over the coyote, often kills coyotes in the wild, and eats mostly large prey species such as elk, deer, and moose. Coyotes on the other hand, have to be “wilier”, rely on a wider variety of food sources, and remain opportunistic and innovative to survive. Where wolves are absent, coyotes flourish. 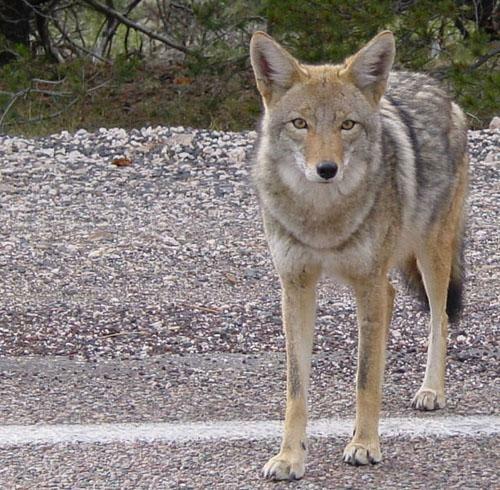 But, why should we be wary of growing numbers of mesopredators such as coyotes? But, lets bring this closer to home (for those of us in North America). If you live in an urban or suburban area of the United States chances are that you have had close encounters with another mesopredator: the raccoon. In many parts of the country people take measures to lock up their trash in order to keep them racoon-proof– a challenge that is more difficult than you might imagine. Aside from being extremely dexterous, intelligent, and unfazed by living in close proximity to humans, raccoons are extraordinarily opportunistic omnivores. These characteristics have given them an incredible adaptive advantage during the past couple centuries as humans continue to urbanize North America. What are the long-term implications of human-induced increases in raccoon populations living in close proximity to us and our pets? How are racoon genetics and behavior changing in human dominated landscapes? These are interesting questions to ponder because evolution is an omnipresent force and new adaptations continue regardless of whether or not we pay attention to them. Are we creating an environment that selects for racoons that are more brazen? Is natural selection calling for animals that can stand their own against dogs and other pets that serve as obstacles to resources in urban environments? What is to stop racoon numbers from growing in urban areas that lack apex predators? 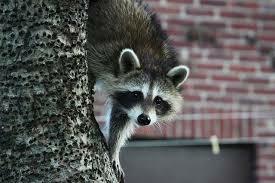 Could growing racoon numbers lead to future rabies epidemics on our doorstep? City dwellers often think of nature as being “out there”… in the park, in the hills, or outside the city limits. We consider our towns and cities relatively sterile environments where fundamental ecological processes are irrelevant, and wildlife has lost the battle for dominion over the landscape. Although overall biodiversity is lower in urban areas, racoons, rats, pigeons, and cockroaches are all examples of animals that are “winning” in ecological terms because of our presence. The conversion of wild lands to urban and suburban environments replete with food scraps and other “trash” that raccoon’s find perfectly edible has provided them with entirely new, and easily attainable food sources. Ecologists would call these changes positive “bottom up” forces that increase raccoon population sizes. All this is pretty intuitive: more food for racoons means more racoons. However, let’s not forget the other factor at play that makes human-dominated landscapes the ideal breeding ground for racoons and other mesopredators: the utter lack of apex predators. Racoons are preyed upon by mountain lions in the wild. Given that mountain lions are less able to live in close proximity to humans, urban areas offer a refuge from some of their most ominous predators. This has changed what ecologists call “top-down” forces on raccoon populations. Now, racoons have the double advantage of securing easily attainable food sources without being eaten by predators that are not as well adapted to human-dominated landscapes. This concept has caught the attention of wildlife ecologists in the San Francisco Bay Area. A recent study published in Biological Conservation by Professor Chris Wilmers and colleagues from UC Santa Cruz analyzed the spatio-temporal behaviors of mesocarnivores including racoons, skunks, bobcats, opossums, foxes, and coyotes along an urban to rural gradient. Wilmer’s wanted to understand how likely it was to find each of these species in urban areas versus rural areas. 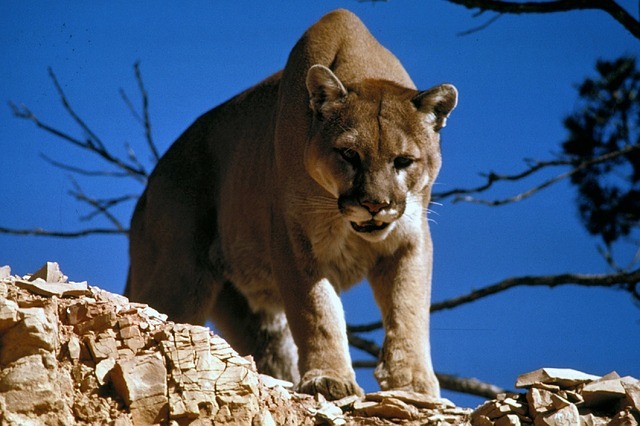 He also analyzed the effects that mountain lion presence had on each of these species. He made observations using a series of “camera traps”- remote cameras that automatically take pictures of wildlife in response to movements across their field of view. As you might expect Wilmers discovered that racoon sightings were negatively correlated with mountain lion presence and positively correlated with human development. Although mountain lions themselves were found in surprisingly urbanized areas (this study took place on the fringe of Silicon Valley), they were less tolerant of human development than racoons were. It is interesting to realize that human development can have completely unintended benefits for relatively large animals such as racoons. This serves as a reminder that wildlife’s continued fight for survival, and life’s relentless ability to adapt to new pressures should not be ignored or taken lightly. It appears that larger and larger animals are learning to live in the presence of humans. The continued eastward expansion of the coyote into new and more heavily urbanized areas is another great example of a mesopredator taking advantage of human-altered environments. European settlers in North America found it shockingly easy to decimate large predator populations over the course of just a couple hundred years. If mesocarnivores pose more and more serious threats to agriculture and human health (via disease transmittance) perhaps it will not be so easy to control this newly rising type of predator. The coyote, in particular, has foiled human attempts to control their populations. Despite millions of dollars sunk in coyote culling operations, coyote numbers have only increased in all areas of the country. We are more likely to think of evolutionary arms races in medical terms where “superbugs” quickly evolve resistance to our antibiotics, but is it so crazy to think of this process occurring on a more macro level where wildlife evolves behaviors and traits to evade human attempts to control them? The variety of forest edges, lawns, and agricultural areas in the eastern United States has allowed for an explosion of white-tailed deer populations. Perhaps the recent success of the coyote is nature’s way of taking advantage of this new food resource. Wolves can’t operate as well in the presence of humans, but perhaps the coyote’s combination of stealth, ability to interbreed with larger dogs and wolves, and proclivity for navigating urban and surburban areas has created the perfect predator to take advantage of the current overabundance of deer in suburbia. One thing is for sure: human-dominated landscapes create winners and losers. Often times we don’t like the winners we create, and they can prove difficult to manage. As we consider the implications of rising human-wildlife conflicts in urban, surburban, and rural areas it is important to remember that we are often the root cause of changes in wildlife behavior and populations, and we can rarely predict how wildlife will respond to the new conditions we create. As the most influential biological force on the planet, we should ask ourselves what we want the environment to look like, and foster conditions to promote the best version of that vision.